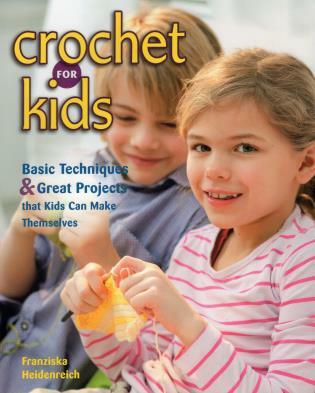 With this book, kids (and tweens) can learn to crochet accessories and toys all by themselves. Franziska Heidenreich is the author of eleven craft books for kids and adults. She first got her hands on a crochet hook at the age of seven and has been crocheting ever since. She lives in Berlin.